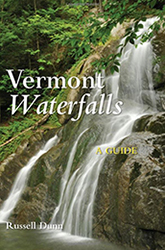 Many visitors may feel they have been to this waterfall before. 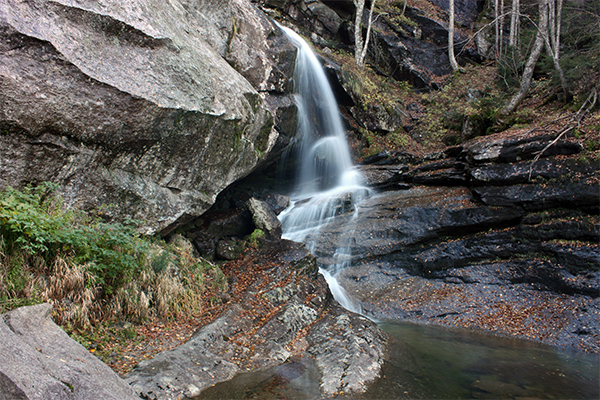 In actuality, this particular waterfall is one of the most commonly photographed falls in the White Mountain National Forest. 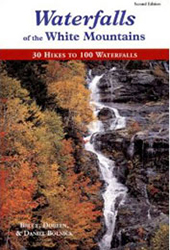 Pictures of this particular falls are scattered across dozens of publications pertaining to the attractions of this area. 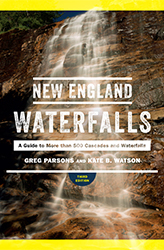 Many of these publications hold high praise for this scenic waterfall, and they have good reason to do so. 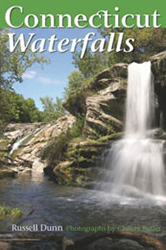 The major attraction of Bridal Veil Falls is the 35-foot tall main plunge that has the characteristics of a bride's veil. 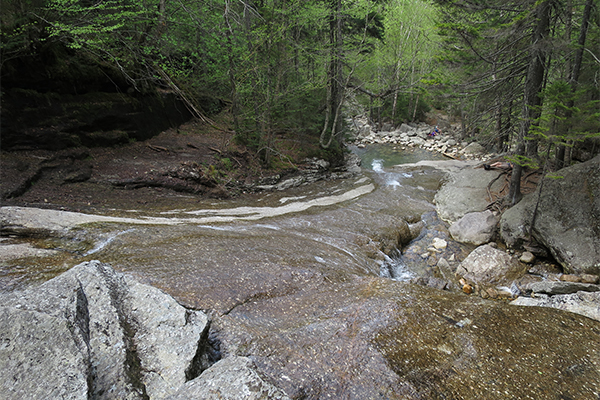 Water elegantly flows at a right angle down to a small pool below. Below this plunge is a large waterslide over flat, polished granite. 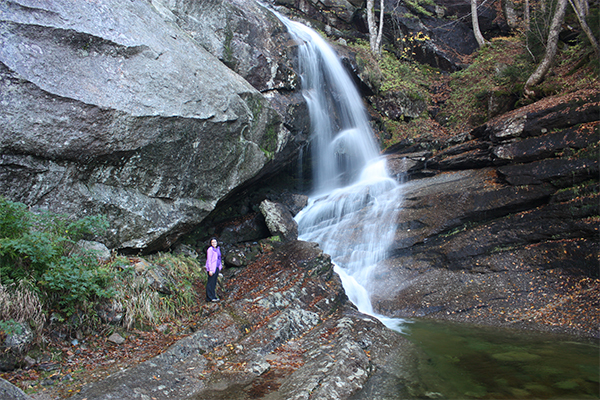 With so many other natural attractions in the National Forest offering shorter and easier trails, some may be turned off by the 5-mile round-trip hike that Bridal Veil Falls requires. 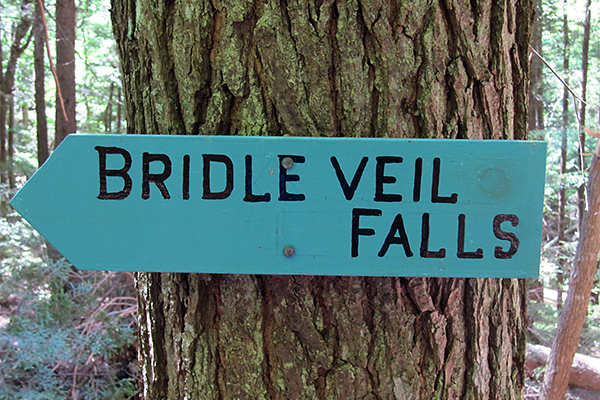 Do not overlook this invigorating hike; Bridal Veil Falls is an extra special place to relax, sunbathe, and enjoy a picnic. 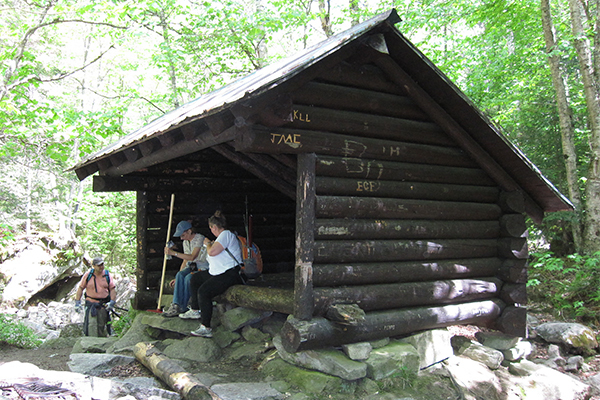 If you would like to make your trip more memorable, bring a sleeping pad, sleeping bag, and other necessary backpacking supplies and spend a night at the Coppermine Shelter, which sits just 0.2 mile below the falls. 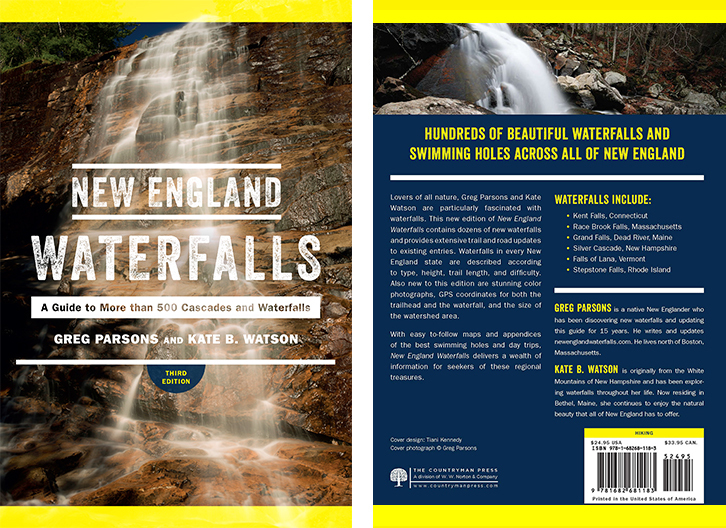 For those looking for an exciting challenge, there are two more waterfalls nearby: Holden Falls and Noble Falls (which is also known as Bridesmaid Falls). 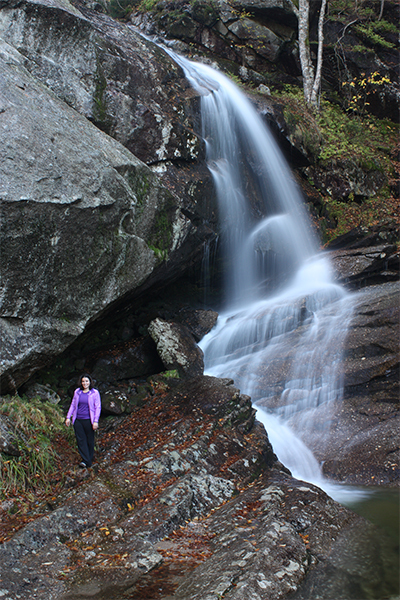 Access to these smaller and likely seasonal falls is difficult as there is no formal trail and the woods are quite dense at times. There is one more potential highlight to this hike, and that is finding the elusive Bette Davis plaque. The famous actress once got lost in this area, and was saved by an employee of a local inn. In turn, she erected a small plaque along Coppermine Brook to thank the employee for saving her. 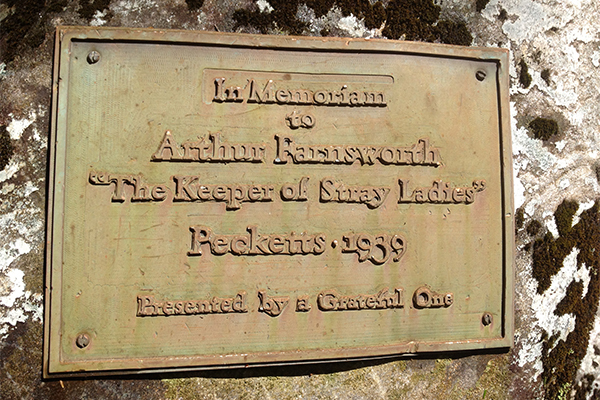 The plaque can be found on a large boulder that sits right on the edge of the brook, just shy of the halfway point of the hike. Look for the part of the trail where you are looking down on a flat area that is sometimes used as an unofficial camping area. Explore the brook around this area and you may be lucky enough to spot the plaque. 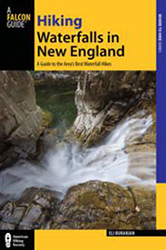 Since the 2nd edition of New England Waterfalls was published, Greg Parsons and his wife, Abby, have become the official U.S. Forest Service trail adopters of the Coppermine Trail.